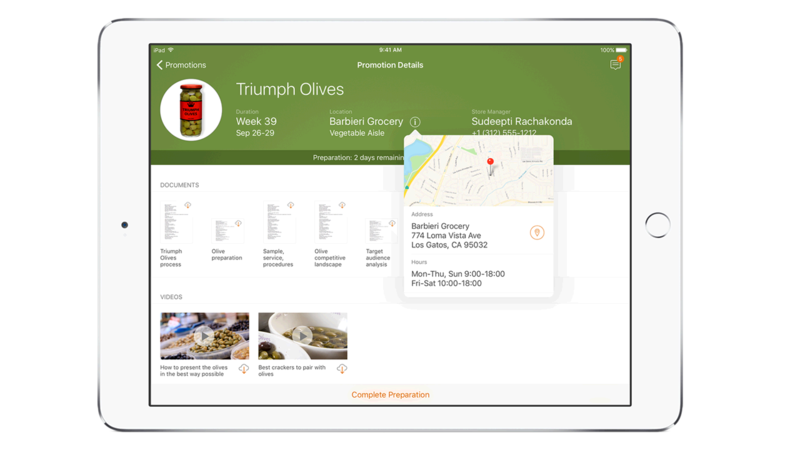 IBM MobileFirst for iOS Market Visit lets agents perform promotional activities in a single location – advancing sales and up- and cross-sell opportunities. IBM MobileFirst for iOS Market Visit enables agents to perform all promotional activities from a mobile iOS device. The app provides pricing analytics based on historical information across retail formats. Once an agent visit is completed, the history of the device is updated automatically in the back end systems. In the past, promotional agents and merchandisers could get bogged down by manual non-mobile systems. Market Visit’s analytics and mobility avoids these pitfalls. The app helps to create a more efficient system that drives sales and solidifies up-selling and cross-selling opportunities. Market Visit provides pricing analytics based on historical information across retail formats. Once a visit is completed, the history of the device is updated automatically in the back end systems. Using the iPhone camera, an agent can document issues found on site. The phone’s touch ID provides reliable user identification for enhanced security. The app features an interactive diagnostic capability available at the retail site. Employees get direct access to the Market Visit history and access to off-site help if needed through FaceTime.